This is a follow up to Simple Life. 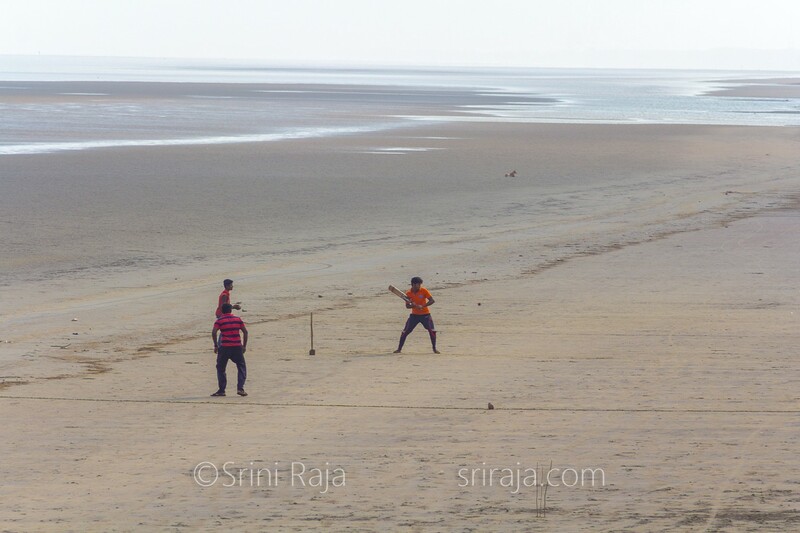 These kids have their entire beach to themselves for their game of Cricket. Of course there is a lone dog in their way and a high tide that will submerge their whole stadium in 3 hours or so. But watching this scene made me realize, how the biggest stadiums in the world with its thousands of seating capacity cannot match the splendor and elegance of this Stadium. The only saddest thing was that the boy in the Orange T-Shirt got out the very next ball but keeping that aside I really wanted to be one of these kids. One can see the high tide slowly creeping in the background. Chandipur is a small town in the coastal state of Odisha and I am certain some of my very unique photographs are from that Town.